Flat 10% instant off for life on OpenVZ VPS plans by BudgetVM. You need to apply the promo code before availing the deal to get your discounted money. BudgetVM offers 2GB RAM VPS at just $9.99/month. Including 2GB RAM, 4GB Burst RAM, 4 E5-2620 2Ghz CPU, 120GB RAID 10 Disk, 4TB Bandwidth, 3 IP Addresses. Save 50% off on your first month on Intel E3-123v3 dedicated servers through BudgetVM. 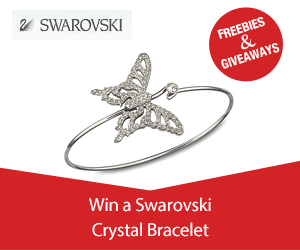 Click on the Get Deal button to crack this amazing offer. Get it now! Get Dedicated Server, 32GB Ram DDoS protected from $149/month with BudgetVM. No coupon code is required to avail the super saving offer. Get SSD VPS hosting plans at just $7.99/month through BudgetVM. Click on the Get Deal button to activate the deal. Buy Now! Grab SSD VPS as low as $7.99/month by BudgetVM. No coupon code is needed to avail the particular deal and save high. Save $30 off per month for Xeon E3-1230 at BudgetVM. Grab this deal by using the voucher code and save more. Get 15% off for the life on all dedicated servers at BudgetVM. Apply the unique coupon code before availing the deal and save your precious money. Buy Intel Xeon 1230 and get $30 off per month for the life at BudgetVM. Use a particular coupon code to get this deal and save a lot. Hurry Up! 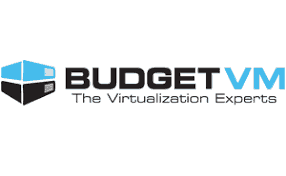 Save $40 off per month for life on Intel Xeon 1270 at BudgetVM. Apply the discounted voucher code at the time of booking and get your discount. Get $60 off per month for life on Dual Intel Xeon 2620 with BugetVM. Get the deal now to get the instant discount and have 24/7 technical support and 100% uptime. A coupon code is retired! Get up to 10% recurring discount for life on VPS, Dedicated servers at BudgetVM. Get this amazing deal now to get your discount instantly. Get ATOM D525 Server at just $25/mo only at BudgetVM. Must apply the given discounted coupon code to before availing this offer. Use the given exclusive promo code & save $74 off for life and get Intel Atom D525, 4GB server for just $25/month. This offer valid for limited time. Grab this deal and get lightning fast windows SSD virtual servers from $15/mo. Shop now to get your instant discount and 24/7 support.